One of my very favorite things to do in California is visit the NAILS Magazine office! The atmosphere is chill, the office has a neat look and cool vibe, and the people are amazing. 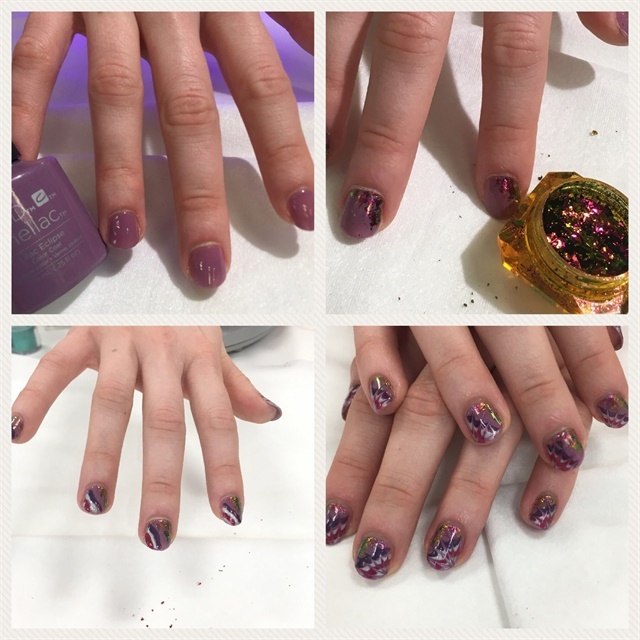 This visit we did a Facebook Live on the NAILS page with some tips and idea’s for quick and effective Valentine designs. If you missed it, you can still view it from my YouTube channel. We also did a few other things that you will see coming out in the future! At the end of the day, it was time to do some nails for a couple of editors. 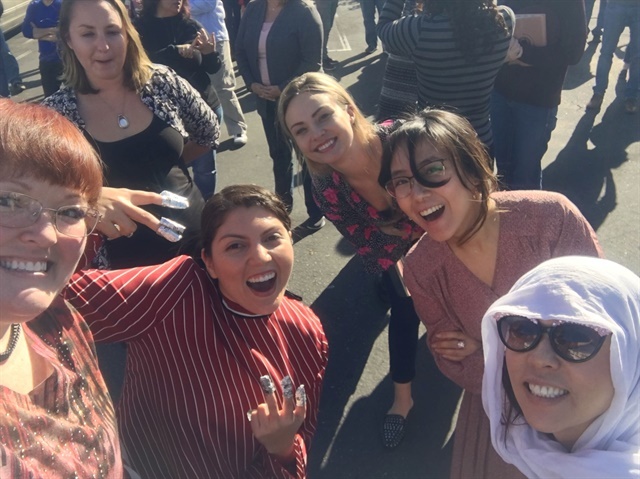 While removing the gel-polish from one, we got to participate in a building-wide fire drill! I can’t say I ever imagined having a fire drill selfie — lt was a pretty neat experience. Once the nails were done, the day came to an end with a team get-together that is always a great highlight of any trip. 2. Apply your gel-polish base coat and cure. 3. Apply a thin coat of gel-polish color and cure. 4. Press some robot dandruff or other metallic flakes into one corner of the nail. 7. Use a thin long detail brush or a striping brush to pull through the stripes towards the robot dandruff, then cure. 8. Apply top coat and cure. 9. Cleanse, apply oil, and photograph!